Designers should sit with other designers in a studio-like setting, to benefit from peer critique, and learn and develop from one another. That’s stupid, because designers should sit with their cross-functional teams to better support product development. For us, the response, as they say on Crazy Ex-Girlfriend (a show you really must watch, if you haven’t yet), is more nuanced than that. To figure out where designers sit, consider a number of factors. In a company with a new design team, a small design team, or a low-morale design team, designers should sit together. This supports designers building a sense of camaraderie and learning from one another. If designers are isolated, they may grow weary of only being around those that are different from them, bristle at the lack of growth and learning opportunities with peers, and, eventually, leave to a company where they can grow their practice and careers. 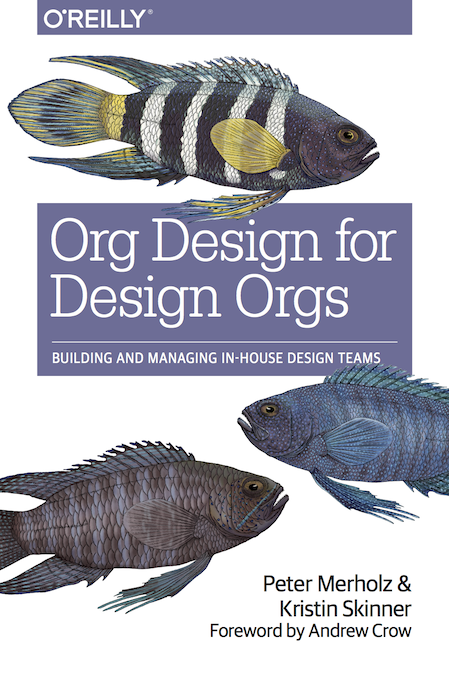 As a company builds its design team and strengthens its culture, a transition occurs, where it becomes a benefit to sit with their cross-functional teams. The community bond is strong enough and the morale is high enough that it won’t break when designers are separated. There’s a productivity benefit when designers are in proximity to their cross-functional squads. And, with a strong design culture to draw from, designers advocate for a design-mindset with their non-design peers, helping make the whole company more design-driven. This should not mean a single designer sitting among a sea of engineers. There should never be only one designer working on anything – the idea of a design team is crucial, even if it’s just made up of 2 people. Wednesday—with cross functional team: show the work that’s been done so far, get feedback, input, ask and answer questions, etc. Friday—with cross-functional team; wrap things up, get things ready for production, etc. etc. We’d love to hear what you think, what has and has not worked for you. Leave us a comment! Author petermePosted on March 27, 2017 March 25, 2017 Categories UncategorizedLeave a comment on Where should designers sit? In Org Design for Design Orgs, we argue that design teams should be organized by customer journey. Let’s say your service is a simple marketplace. Instead of having designers embedded in the different product teams that make up the marketplace (a fully decentralized and embedded model), or instead of having a single monolithic team (a fully centralized model), to instead have one team dedicated to the Buyer Experience, and another team dedicated to Seller Experience. This reflects our belief that design works best when focused on customer journeys and their end-to-end experiences, in contrast to focusing on the products and features that make up those journeys. It’s a subtle distinction, but powerful–features are simply a manifestation of the relationship between customers and the business, and organizing this way helps a team pay more attention to the whole relationship, and avoid the trap of being so focused on specific features that they can’t see the forest for the trees. I’ve been presenting this model for a couple years now, discouraging design teams from organizing the way engineering and product management teams do, because those functions have different operating models. Product management often organizes around, well, products, which are discrete entities whose success is determined within the bounds of the product. Engineering teams organize either by product, or by platform/codebase, in order to realize efficiencies and promote quality. I think these perspectives have aligned as a reaction to a broader shift in business, from products to services. Microsoft and Adobe once made boxed software sold on shelves, and the teams that worked on them were rightly focused on what went in their box. Now these companies sell subscriptions to access across their suite, and so coherence and coordination is crucial for success. The key distinction between a product and service is that the service is predicated on a customer relationship. And in these networked services, these relationships must be maintained 24/7. As companies embrace what it means to be a service firm, they understand that what’s most important is the healthy maintenance of that customer relationship. And so they realize they need to move away from old methods of organizing that were anathema to a customer’s end-to-end experience, and towards customer-centrism. I believe design, because of it’s empathetic stance, and relatively smaller team size, has been able to sense and react to this shift ahead of other teams’ awareness. But whereas I used to think this orientation was perhaps specific to designers, I now believe we’ll see entire companies reshape this way.